Watch the inspiring documentary "Muppet Guys Talking" and let us know your thoughts on the Muppet release of the year. 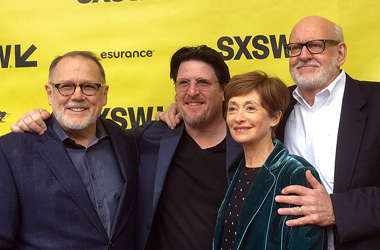 "Muppet Guys Talking" is the Frank Oz directed film featuring beloved Muppeteers Jerry Nelson, Dave Goelz, Fran Brill, Bill Barretta and Frank Oz. Muppet Central exists to unite fans of the Muppets around the world. Site debuted on January 28, 1998. Add a Muppet banner to your Web site.